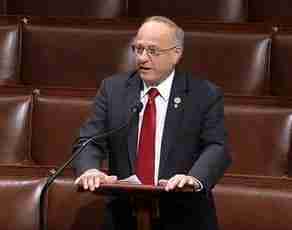 Congressman Steve King, a member of the House Agriculture Committee, releases this video of remarks he delivered on the House floor this afternoon in support of the Farm Bill conference report. During his remarks, King specifically mentioned several of the important provisions he worked to insert into the legislation that will be of great benefit to producers in the 4th District. 5) The Farm Bill includes important “Genome to Phenome” research language which was a priority for Iowa State University. The House of Representatives is scheduled to vote on the Farm Bill Conference Report today.